These were the words from a Tibetan nomad in Qinghai, China on the eastern side of the Tibetan Plateau. During this interview he expressed his desire to continue his nomadic way of life. But there is also an echo of frustration that many his age are experiencing. 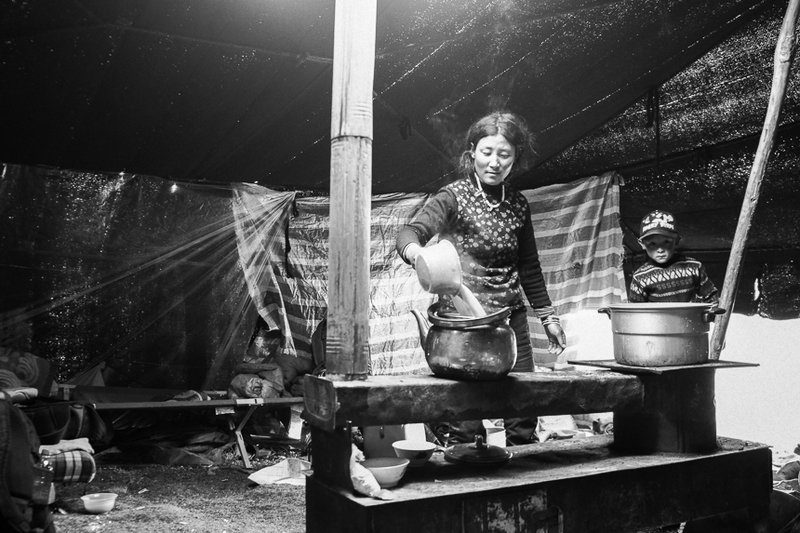 They see the next generation of Tibetans placing less value on traditional livelihoods, and ultimately traditional values. Speaking Tibetan, living as a Tibetan, and thinking as a Tibetan have somehow become ‘backwards’. More Tibetan youth are drawn to urban areas with the hopes of employment, modern living standards, and security. All of which are offered by a Chinese agenda committed to development and increased living standards. So who can blame them? It’s difficult to find at fault the Tibetan Youth when they are seeking the very thing that many developing countries on a larger scale are trying to obtain. They desire hope, a sense of ease in their day-to-day life, an escape from the all-consuming effort to meet basic needs. Sadly, this has come at the expense of traditional cultures eroding into a globalized community, largely driven by economic development. This has also led to an increase in numerous social problems characteristic of such situations including alcoholism, drug use, depression, and suicide. But does it have to be this way? One answer is ‘Yes’. The traditional form of development based on the liberalization of economies tends to promote such a scenario where local peoples are either further displaced or become heavily integrated into a global market economy. Rather than promoting traditional livelihoods, this integration demands a highly efficient and productive ‘assembly line’ type of manufacturing based in urban areas. Alternatively, development practitioners must, and have begun to, shift their focus from pure economic indicators and recognize the social and cultural values that exist. If development policy and practice are synced with promoting local livelihoods, then the young Tibetan will be in a position to choose, rather than despise, the way of life practiced by his/her ancestors. I’m not saying that they should shun the comforts and the ease that economic progress offers, but rather our development efforts should seek to answer these issues in the local context, rather than fostering mass urban migration. By promoting culture in development practice we all have something to gain as we are able to celebrate the diversity of cultures that exist around the world.